In honor of my dear friend of 19 years. She was a true champion. We met the summer between 7th and 8th grade. She kept my little brother and I occupied, distracted, and entertained that first summer she arrived, when Mom was sick. She taught me about responsiblity, maintenance, and pride in a job well done. She helped me practice my flip flops in high school. She gave us a place filled with memories. Something to do early in the morning and late at night. She was the life of every party. Although she had no name for much of our friendship, she will forever be known in my heart as Delilah. Thanks to a few beers with Dad and my little brother. My brother sent me a picture last night as I was heading home on the train. And I knew. Delilah was a goner. She passed slowly, starting last night, and carrying on until morning. Now, she’s merely an empty shell in my parents’ backyard. We had dozens of inside jokes, from Pool Cheese (Kraft singles, wrapped in plastic, still taste like Kraft singles-gross, even when they come from the bottom of the pool) to her name, Delilah, which Mom hated (I think it had something to do with naming inanimate objects). My parents may get a new pool, but it’s also time to pass the torch. When I was a kid, Gram had a pool. 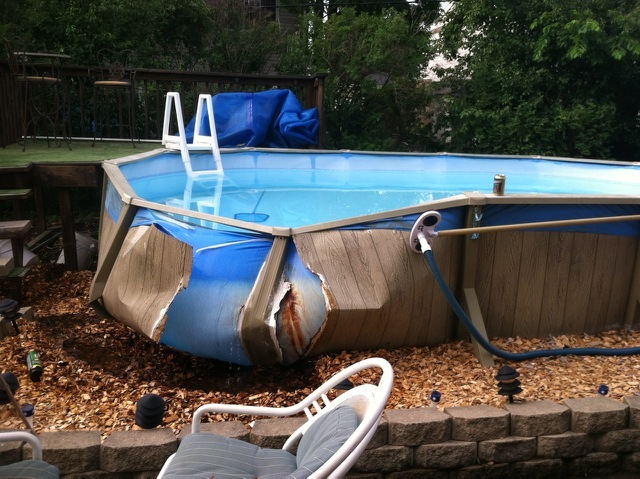 Then, when that pool died, Mom got a pool. Now it’s my turn. House. Then pool. It’s the natural state of progression. I made my way over to the parents’ place to say goodbye and offer my condolences to Dad, who was Delilah’s closest companion since I moved out. For the last 5 years, Delilah had been living on borrowed time. 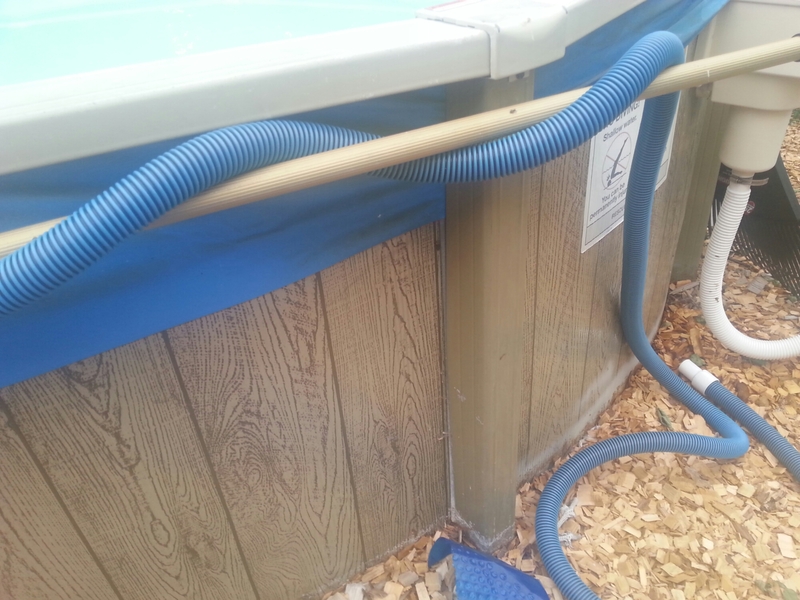 Pool life support in the form of rusted caulk and Gorilla Glue. FIVE YEARS, you guys. 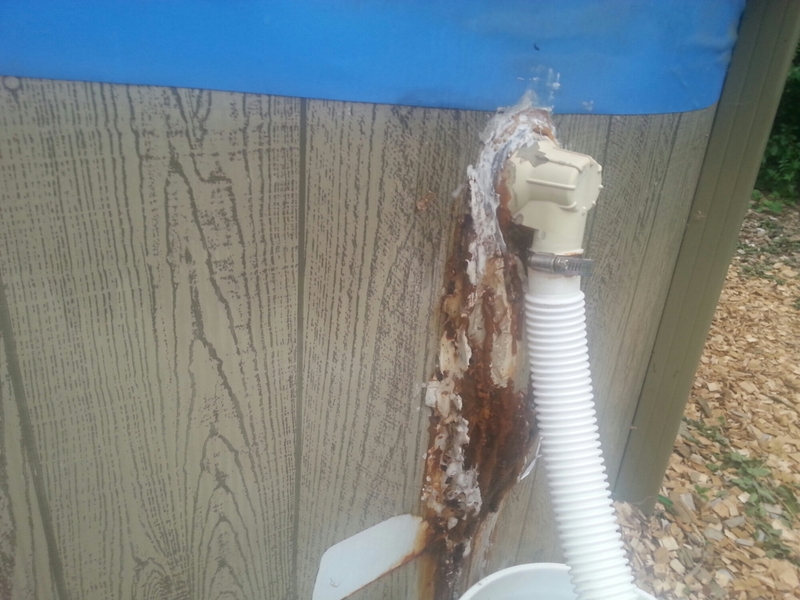 I stand by Gorilla Glue for LIFE knowing that 10,000 gallons of water were held together wirh this magical glue…however unattractive it may be. 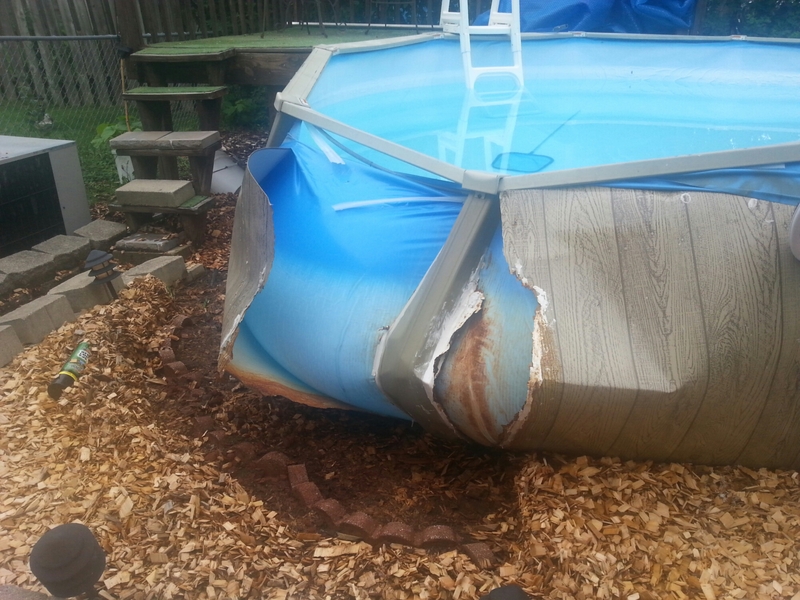 But in the end, the pool rusted out. So here’s to Delilah. You were a reliable and loyal friend. You’ll be missed. Did you ever have a pool? Do you want one? 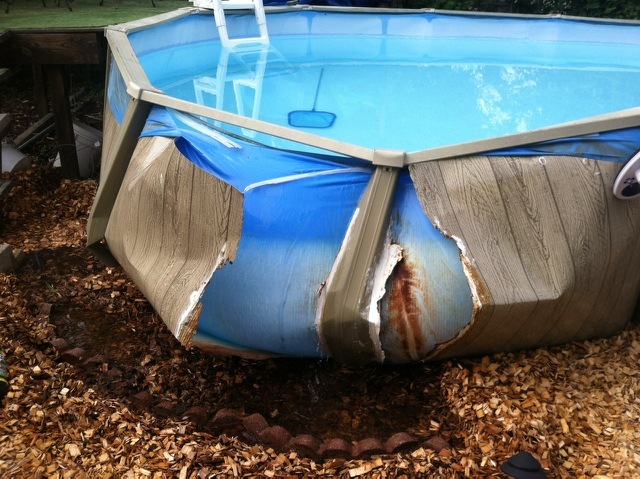 Have you ever witnessed a large appliance or structure in your home kick the bucket?